The Friends In Need Food Bank’s goal is ‘to ensure no one in our community ever goes hungry’. The Maple Ridge Community Foundation was proud to support their efforts with a $2,000 grant in 2016, and others in years past. The 2016 funds were directed to the school breakfast and snack program. Each week during the 2016/2017 school year the Friends In Need Food Bank provided food to elementary schools and outreach programs in Maple Ridge based on the individual needs of the school. This allowed breakfast, lunch and/or snacks to be prepared on site for anywhere from 10 to 150 students per day. By the end of the school year, they were providing to 17 of the 20 elementary schools in the district, 7 outreach programs and 1 high school. More than 500 elementary students and 300 high school students were benefitting from the program. In September 2017, the program will expand into more high schools. The program looked different in each school depending other needs. Some host a sit down breakfast, others have central sharing baskets or classroom sharing baskets where students can pick up nutritious snacks anytime, others offer life skills learning for some students (food prep, clean-up, etc). 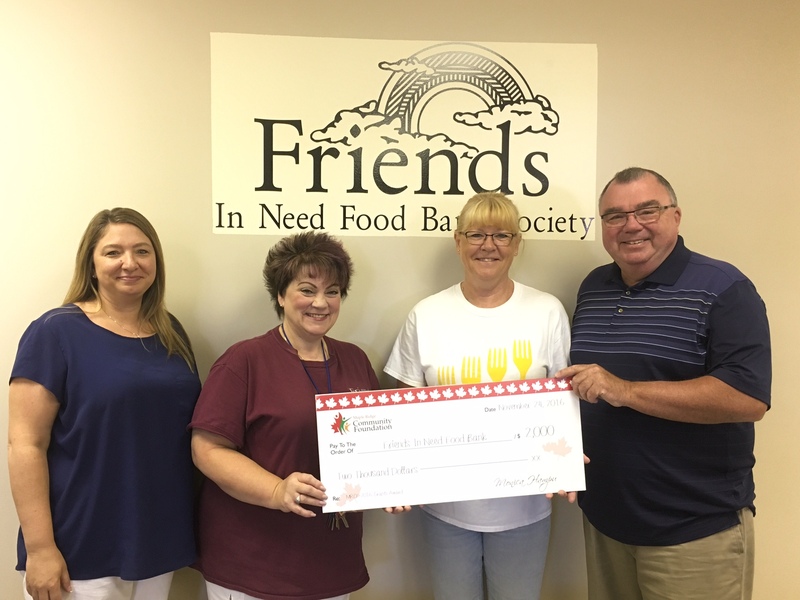 The Friends In Need Food Bank supports many residents in our community, from children to seniors and everyone in between. They are always seeking committed volunteers to help with everything from delivery drivers to hamper assembly. For more information, please visit friendsneedfood.com.